Disco Lady Blue 70s Dress with headscarf. Disco Lady Blue 70s Dress - This great 1970s pattern blue dress is perfect for your 70’s or decades themed night out. 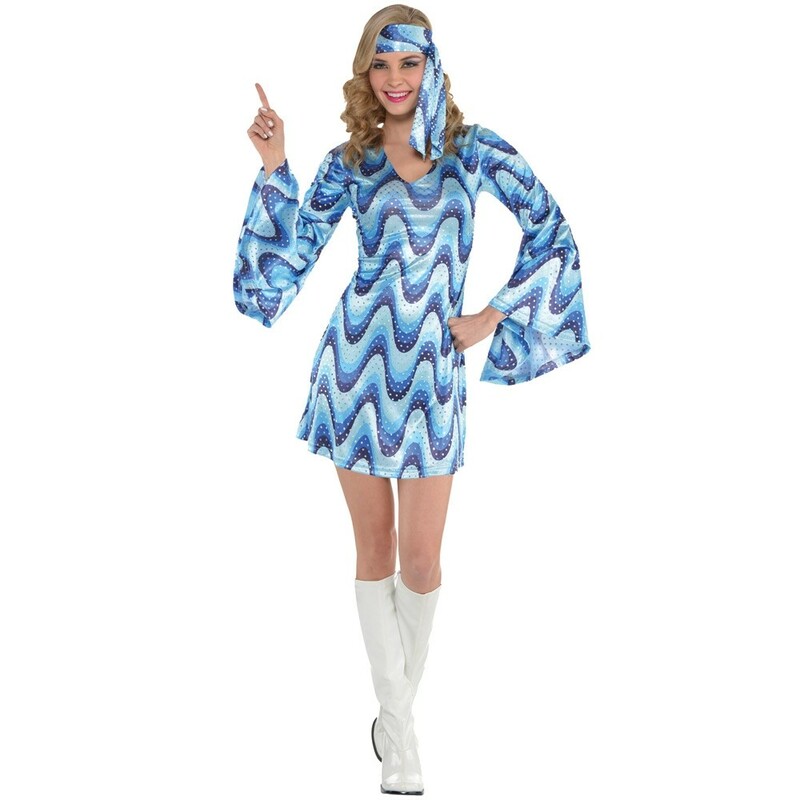 This Disco Lady Blue 70s Dress is mid-thigh length with long sleeves and a matching headscarf.